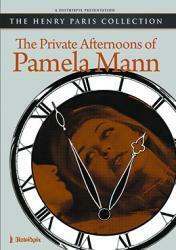 Pamela Mann exudes the dirty elegance of mid-1970's NYC. The plot follows a private detective named Frank (Eric Edwards) who is employed by a wealthy businessman (Alan Marlow) to investigate the sexual infidelities of his socialite wife, Pamela (Barbara Bourbon). The non-stop excitement includes a casual hook-up on Sutton Place (Marc Stevens), social work with a prostitute (Georgina Spelvin), a political cocktail party (Sonny Landham), a staged abduction (Jamie Gillis and Darby Lloyd Raines), and the eventual seduction of Frank himself!